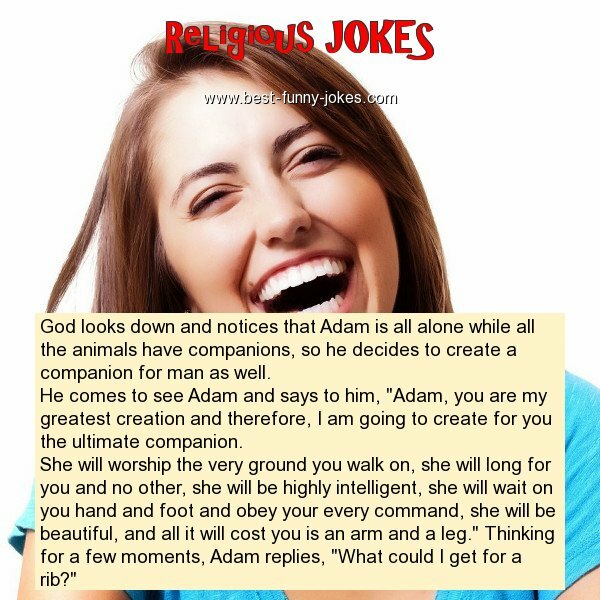 He comes to see Adam and says to him, "Adam, you are my greatest creation and therefore, I am going to create for you the ultimate companion. She will worship the very ground you walk on, she will long for you and no other, she will be highly intelligent, she will wait on you hand and foot and obey your every command, she will be beautiful, and all it will cost you is an arm and a leg." Thinking for a few moments, Adam replies, "What could I get for a rib?"